Born of Him Ministries | R U E ? 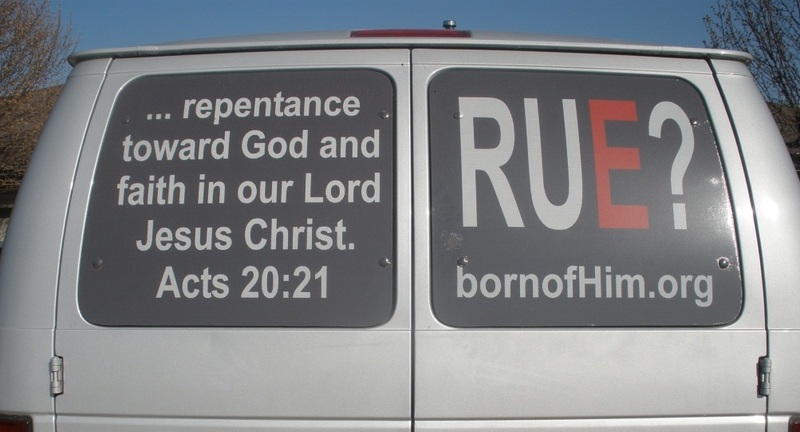 Have you seen this on the back of a van while driving down the road, stopped at a stoplight or parked in a parking lot? Did you figure out what it means? At this point, you may be saying “so, what does that mean?!? !” It means, are you ready to meet your maker? Are you ready to stand before the Just Judge of the universe and give an account of your life? There is an old saying that there are two things which are certain in this life… death and taxes. This message is not about taxes but it is related to the subject of death. We know that out of 10 people born on this earth, 10 of them will die. We don’t know how or when, but we know they will die at some point in time. So, when your time is up, are you ready? What do you think happens when a person dies? The Bible makes it clear that “…it is appointed for men to die once and after this comes judgment,” (Hebrews 9:27) and “For we must all appear before the judgment seat of Christ, so that each one may be recompensed for his deeds in the body, according to what he has done, whether good or bad.” (II Corinthians 5:10) Those who are righteous in God’s eyes will live forever in heaven. Those who aren’t will be punished forever because God will cast them into hell – “Then He will also say to those on His left, Depart from Me, accursed ones, into the eternal fire which has been prepared for the devil and his angels;” (Matthew 25:41). So, what do you think will happen when you die? Why should God let you into heaven? Have you broken God’s law? If you’ve ever told a lie, looked at a person with lust, stolen anything, disobeyed your parents or used the Lord’s name in vain, you have sinned (sin is transgression of God’s law). 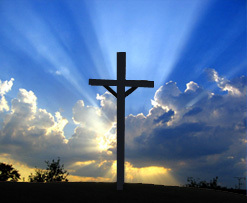 “Everyone who practices sin also practices lawlessness; and sin is lawlessness.” (I John 3:4) Roman’s 3:10 & 3:23 tell us “THERE IS NONE RIGHTEOUS, NOT EVEN ONE;” and “for all have sinned and fall short of the glory of God,” Since all of us have sinned and are guilty of breaking God’s moral Law, if we are to have eternal life, we must rely on a righteousness outside of ourselves. God made a way to reconcile sinful people to Himself. If you would like more information or to discuss this with us, please go to the contacts page and send an email or give us a call. Thank you and may God Almighty draw you to himself.